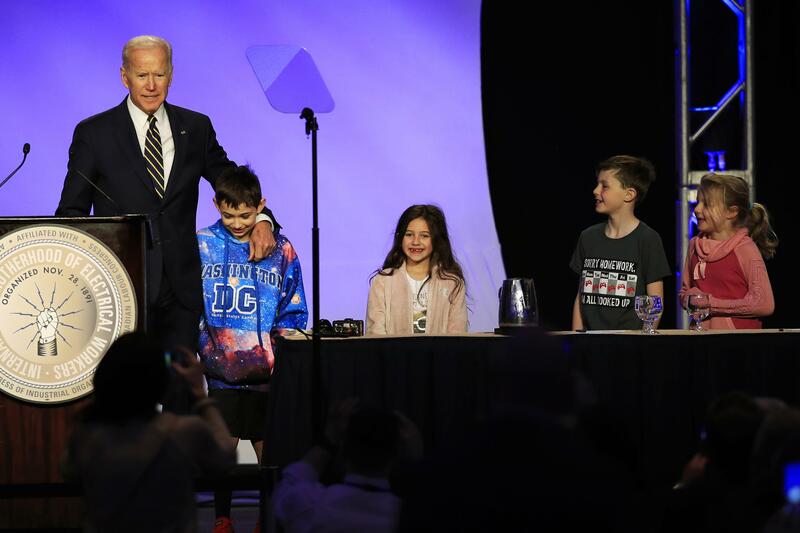 UPDATED: Fri., April 5, 2019, 9:17 p.m.
WASHINGTON – Former Vice President Joe Biden on Friday made light of his recent controversy about crossing physical boundaries with women, and he signaled in a resolute speech to union activists that’s he’s ready to run for president as a moderate Democrat in party that has been drifting left. Biden said criticism of his bipartisan leanings was coming from the “far left” and reupped his appeal for compromise – a sometimes unpopular view in the Trump-era. But signs of changes in the party have been evident in recent complaints about Biden’s history of publicly affectionate behavior with women. Nevada politician Lucy Flores said she was uncomfortable when Biden kissed her on the back of the head backstage at a 2014 campaign event. Her account was countered by scores of women – from prominent lawmakers to former staffers – who praised him as a warm, affectionate person and a supportive boss. But several other women have also come forward to recount their own awkward interactions with him. Published: April 5, 2019, 9:02 p.m. Updated: April 5, 2019, 9:17 p.m.